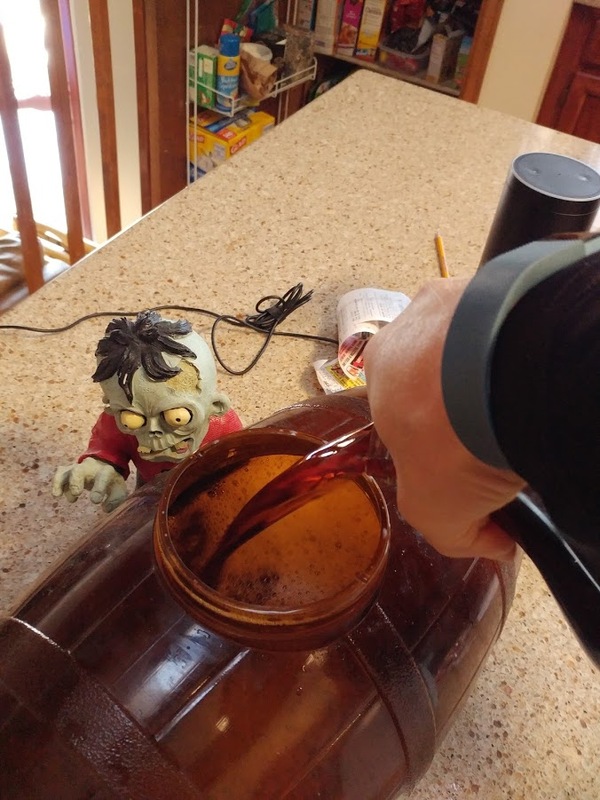 I didn't share this at the time, but when I brewed my 2016 X-Mas Ale (see I brewed a peppermint (X-Mas) ale) ... I had a little too much for the fermentor and moved about 3/4 of a gallon to a glass jug and fermented it. 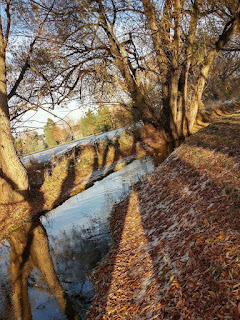 What is Graf (or maybe it is Graff)? I've read the Dark Tower series and didn't really pick up on Graf until it came up in some home-brewing forums and then Brewing T.V. (see Brewing TV's Gunslinger's Graff). Basically, it is being implemented as a combination of beer and apple cider. 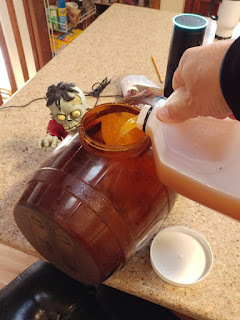 I have been looking for Cherry Cider to do this with, but I eventually gave up and just grabbed a gallon of apple cider from the grocery store Saturday. I poured the gallon of cider into a Mr. Beer Fermentor. Then I poured the X-Mas Ale on top of it, making sure to include some of the trub in hopes that the Kolsch Yeast would wake up and ferment the sugars in the cider. So, we'll see how it turns out. In a couple weeks, I'll bottle it and let it carb. In a couple more weeks, I'll see how it tastes. Might make a yummy Christmas treat. Took a gravity sample and tasted. There has been no fermentation of the cider. Going to try to pick up Champaign yeast today and see if that works on the cider. Tasted ok. Sweet cider rather than dry.